How to pick a ‘good’ product. — What does it mean for a product to really and truly be good? ‘Good’ is a subjective and easily twisted word. What we consider a ‘good’ product differs per person depending on what they value. In the eyes of a budget-conscious consumer, the discounted deep-conditioner, regardless of how it is processed or where the ingredients are sourced, is good. In the eyes of a modern-day eco-warrior, good is the package-free minimal ingredient shampoo. Here’s the catch – every company, regardless of their actual practices, targets consumers with the idea their product is ‘good’. Our job as conscious consumers is to decipher confusing product marketing techniques. The goal? To pinpoint which companies are representing themselves truthfully with the right intentions, rather than positioning their product with the intent of increasing sales. So, which ‘good’ is the right good? We believe that a ‘good’ product can be categorised by three things: good principles, good ingredients, and good for the planet. A quality product should take into account the holistic nature of consumption rather than solely pushing products for sales. A company with strong morals and principals establishes a sense of trust between the consumer and company that is near-impossible to fabricate. Having upstanding principles can boil down to a company standing true to what they claim to practice, whether that comes in the form of employee benefits, implementing fair-trade standards, championing education or dedicating a portion of their profits to a specific non-profit or cause. We like to think that a company with social responsibility shows respect for the world they live in. Supporting companies with strong moral ground is key to playing the part of a responsible consumer. The common analogy ‘voting with your dollar’ starts from the ground up by re-educating yourself on your consumption habits and really assessing who you buy your products from. The more that consumers take an active role in understanding their consumption habits and change their actions to support companies that prioritise good principles, the more the market will change for better. For anyone looking to invest in a product, we encourage a quick research into the background of the company selling the product. What does the company aim to do? Do they have a cause? What are their values? Do they live up to their word? How does the products they are selling help them achieve that goal? Do they have a fair-trade certification, b-corp, cradle-to-cradle or a similar recognition for their positive actions? If not, where and how are their products made? How transparent does the company seem? When you are researching their practices, is it difficult to find information or are they proud of how their company is run? Companies that are vague and elusive about their products are worth taking a deeper examination. Companies that do good tend to more than happy to share their efforts as a popular marketing tactic. Companies like London-based Soap & Co. empower their community by employing blind, disabled and otherwise disadvantaged individuals who play a key role in creating quality body care products. It’s not too common in the industry to reveal the who’s who of skincare ingredients, meaning the dirty details of each product and ingredients. If that is of importance, we look to companies like Method & Ila Apothecary who lay it all out there. What do you value in a skincare product? The ability to manipulate the skin via formulated serums or edible and commonly found ingredients? What makes one serum better than the other? In other terms - do your background research on the brand. Consult the internet, reviews and your skincare specialist. It’s a marketing tactic used to frame an organization or product as being environmentally friendly and one all to common in the skincare industry. This is where acting as a conscious consumer can get tricky. Common terms such as ‘natural,’ ‘organic,’ ‘chemical-free’ or ‘dermatologist-tested’ are all too often a marketing tactic. These terms may be alluring to consumers, but in the end, the marketing team controls how these terms are used to pull you, the consumer, into buying a product. A product can’t truly be environmentally friendly unless it is packaged strategically. We’re talking compostable packaging, no packaging, or plastic alternative packaging. How is the product advertised? Are their claims realistic & able to be proven? What is the company's philosophy? Have they established themselves as an environmental advocate or are they using greenwashing? Are they a B-Corp company? How is the product packaged? Are they selling an ‘environmentally-friendly product’ in a plastic bottle? Interested in reading up? We think Refinery29 has summed up the Greenwashing trend very well. 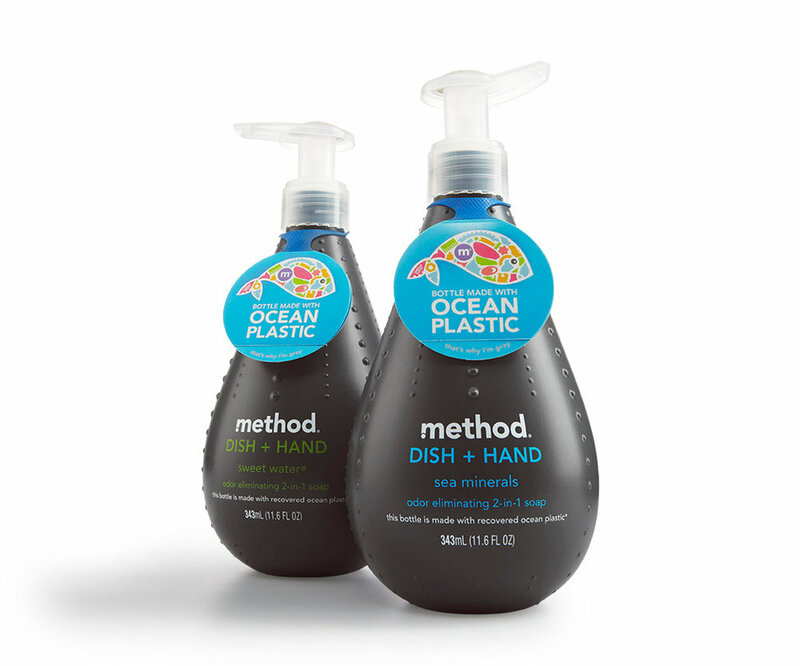 Method Home checks our boxes for their transparency, eco-friendly philosophy and mindful packaging. They are paving the way for reimagining how plastic can be reused by producing the world’s first bottles made with a blend of recovered ocean plastic & post-consumer recycled plastic as discussed here. What is your personal definition of ‘good’? Do you make purchase decisions based on holy grail ingredient claims? We’d really love to hear your thoughts on what makes a good product. Join the Noema conversation by leaving a comment below or sending us a message! Smooth like butter: Shea Butter, that is.